Note: The packaging lists this product as "Bamboo Blur Tinted Moisturizer." We've changed the website name to "Bamboo Blur Matte Makeup" to better describe the coverage and finish. *note: Our Bamboo Blur Matte Makeup dries 1-2 shades deeper. Hydrating, lightweight coverage from aloe and natural fruit pigments make for a perfectly wearable, natural tinted moisturizer. Skin nourishing ingredients like pomegranate and avocado seed oil provide antioxidants and moisture, while purely natural bamboo silica diffuses pores, smoothes fine lines, and creates a divinely soft-focused look. 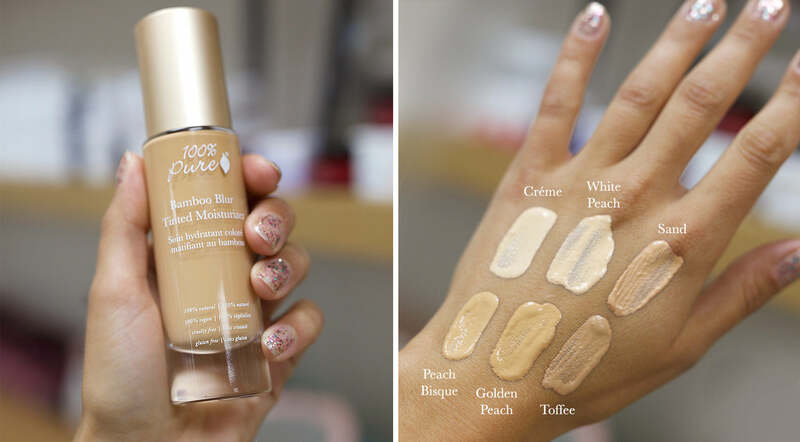 Read more about Bamboo Blur Matte Makeup and why it might be the foundation for you. PRO TIP: Apply with Makeup Blender or Cruelty Free Flat Kabuki Brush F40. Lightly set this tinted moisturizer with a small amount of Bamboo Blur Powder for a delicate, airbrush style finish.